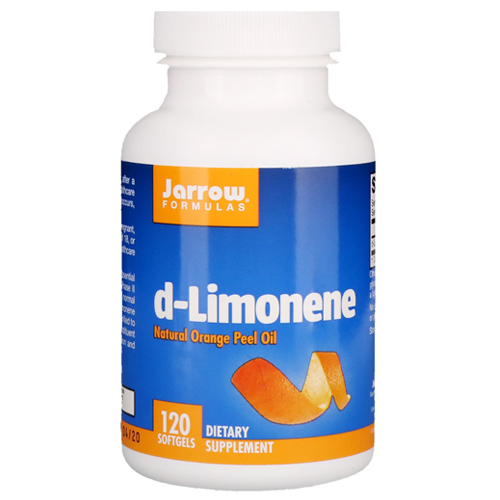 d-Limonene is a volatile oil derived from the peel of citrus fruits. d-Limonene is commonly used in cosmetics and cleaning products due to its strong citrus orange smell. Although it has many other applications, its most important use is in the human body. Other Ingedients: Softgel consists of gelatin, glycerin, water, caramel and carob (as a light barrier). 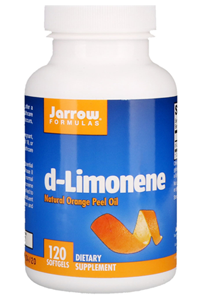 Jarrow Formulas use food grade d-limonene.